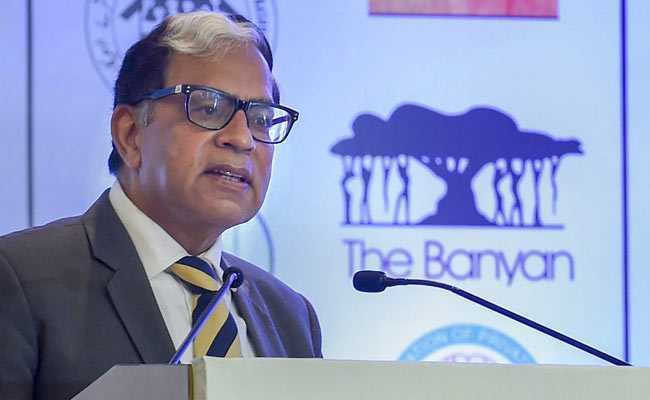 Justice AK Sikri said the freedom of press is changing the paradigm of civil and human rights and the current pattern of media trials is an example of it. Judging is "under stress" in the digital era, a Supreme Court judge said Sunday, lamenting that even before a case is taken up by the court, people start discussing on social media what the outcome "should be" which has an influence on the judges. Talking on "Freedom of press in the digital age" at the first Law Association For Asia and the Pacific (LAWASIA) conference, Justice AK Sikri said the freedom of press is changing the paradigm of civil and human rights and the current pattern of media trials is an example of it. "Media trials were there earlier also. But today what is happening is that when an issue is raised, a petition is filed, (and) even before it is taken up by the court, people start discussing what should be the outcome. Not what ''is'' the outcome, (but) what ''should be'' the outcome. And let me tell you from my experience here that it has an influence on how a judge decides a case. "Few years ago, it has always been an opinion that once a judgment was rendered by the court, be it the Supreme Court, high courts or any trial court, you have every right to criticize the judgement. Now there is slander or defamatory speeches even against judges who gave that judgment. And still not much is said on this," Justice Sikri said. Ms Divan said one of the challenges was that with the growth of Twitter, lawyers have become activists too. And in that quest for activism and stardom, she added, one should not eclipse one's professional duties as the casualty would be independence of the judiciary and matters would be decided for the "wrong" reasons. Ms Divan said though the requirement is that one needs to be an accredited journalist to be able to report from the Supreme Court, "for the rest, there is Twitter". "It is true that you (a lawyer) have a much better understanding of the law and the justice delivery system than a journalist, but at the same time there is a certain shallowness to Twitter which may distort the public understanding of how the justice delivery system works. "How data is mined, how players like Facebook, WhatsApp etc collate data, how they can see what their consumers' choices and preferences are. If it affects the freedom of people, privacy of people, then it becomes a very dangerous instrument. And issues of dignity comes in," he said.